Dehydrating marshmallows gets them ready for more than just breakfast cereal. 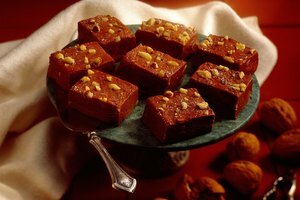 The smaller, condensed sweet nuggets they become after losing most of their water work well when used in cocoa mixes and desserts, and when eaten like candy. Depending on the time and tools you have available, you can use a food dehydrator, an oven or a microwave to accomplish the same goal with varying results. Because the trays of a food dehydrator rest closely together, and you won't want to crowd the marshmallows, but rather keep them in a single layer, use the miniature marshmallows that take up less space, rather than full-size ones. Spread the miniature marshmallows onto the trays. If your food dehydrator has multiple settings, set it to medium, or 160 degrees Fahrenheit. Dehydrate the marshmallows for about 2 hours or until slightly wrinkled and crispy. The marshmallows won't shrink much but will still be done. If you don't have a food dehydrator, try dehydrating marshmallows on a baking sheet in a warm oven. These turn out best if your oven has a setting under 200 F, but can work at 200 to 250 F as well. Spread the marshmallows in a single layer on a baking sheet. Place them in a preheated oven, tossing them with a spatula every 20 minutes to ensure even drying. Heat the marshmallows until crispy and wrinkled, approximately 1 to 2 hours, depending on your oven's temperature, and then turn the oven off. Remove the marshmallows from the oven once they're cool. 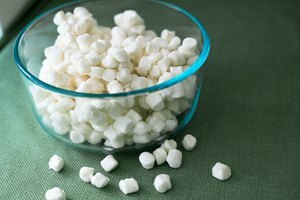 You can dehydrate either full-size or miniature marshmallows using this method; consider the use when choosing which to use. Since microwaves heat and evaporate water molecules in food, they can be used to dehydrate marshmallows. This method takes some experimentation so don't use it on your best fresh homemade marshmallows until you know what works in your microwave. Place a single layer of marshmallows on a microwave-safe plate. Cook on high for 1 minute at a time, turning and rotating the marshmallows after each minute. The marshmallows will puff as they cook. 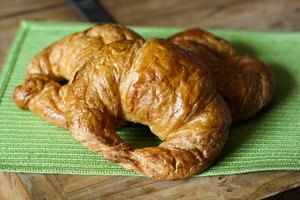 Allow the puffiness to subside before removing them from the microwave and turning them. Repeat the cooking cycle until the marshmallows reach the desired crispness. Avoid cooking the marshmallows too long because they will turn brown or black as the sugar crystallizes. Marshmallows dehydrated using this method shrink more than those using other methods. 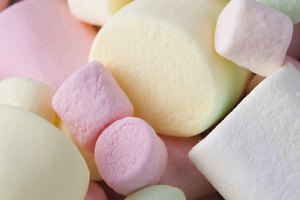 Use either large or miniature marshmallows, or cut large marshmallows in half before dehydrating them to get them to the ideal size for their eventual use. Dehydrating any marshmallows left over from an open bag you didn't completely use will avoid their becoming stale. Once the water evaporates and they become crunchy, the marshmallows keep almost indefinitely. Store dehydrated marshmallows in an airtight container at room temperature for up to a year. 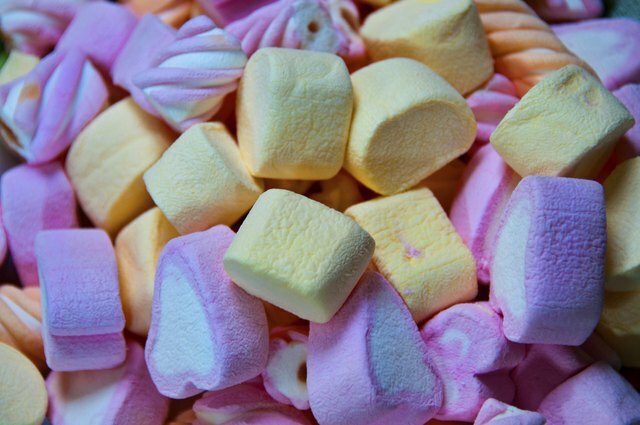 Because home-dehydrated marshmallows don't shrink much in size, cut large marshmallows into tiny pieces before dehydrating them for use in snack mixes, or as bite-size candies. Dehydrated marshmallows flake and crumble if you try to cut them after they're dried.